"The Asset Management System is a beautiful thing. There is no dead end to the experiences we can provide with these kiosks, and the stories being told of the importance jazz has in Harlem and in the United States." When people first step into the National Jazz Museum in Harlem, they’re carried away by the rich tapestry of musical notes, the blare of trumpets, and the trove of cultural relics that portray jazz history. The museum is a small Harlem gem that guides visitors through the 100-year history of jazz and serves as a thriving preservation institution of the quintessential American musical genre. 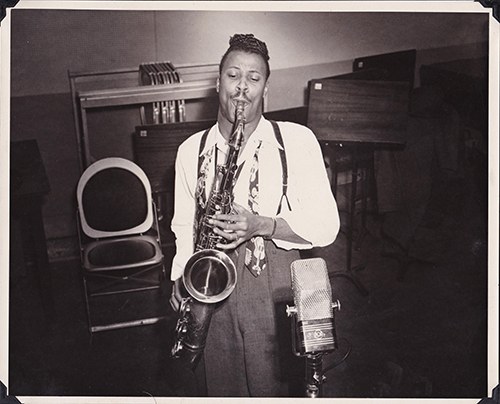 A 2016 grant enabled the museum to create a customized digital asset management system, a database to store, organize, and retrieve items in two of its most prominent collections, the Savory Collection and the Eddie “Lockjaw” Davis Collection. 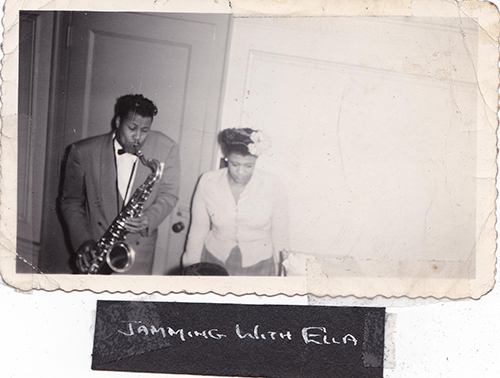 The digital assets of these collections included audio, video, photographs, manuscripts, and sheet music, all important in sharing the narrative of the complex jazz movement. 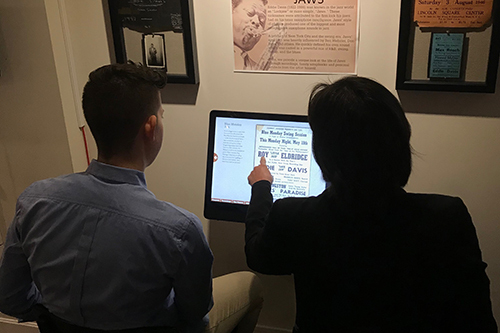 The resulting system, affectionately known as JAMS (Jazz Asset Management System), not only houses the two digitized collections, but supports the two touchscreen user interface kiosks housed within the exhibits, widening the viewing experience tremendously. The database is a turning point for the National Jazz Museum, providing a database for all of the museum’s collections as well as future opportunities for greater access to showcase them. 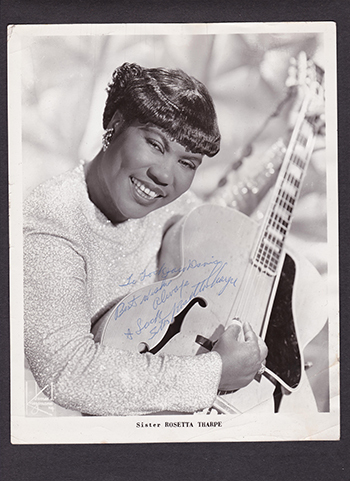 Widening the accessibility of its cornerstone Savory Collection, nearly 1,000 discs of live radio performance recordings from the late 1930s and early 1940s, was first on the museum’s list. Recorded at the height of the Swing Era, the collection was recorded by audio engineer William Savory and includes extensive performances by such cultural giants as Louis Armstrong, Benny Goodman, Count Basie, Billie Holiday, Fats Waller, Bunny Berigan, and Lester Young. These recordings also go beyond studio walls and into smoky lounges or lively ballrooms where artists, who weren’t limited to three minute songs as they were in studios, could fully explore the rhythm of their art in a more relaxed setting. When Loren Schoenberg, a jazz musician, historian, and founding director and senior scholar at the museum, acquired the collection, it was a major feat. But this breakthrough collection came with complex copyright restrictions that protect both the songwriters and Mr. Savory. To comply with the limitations woven so tightly throughout the collection, the museum worked tirelessly with countless estates to obtain permission to use partial excerpts of the songs on JAMS. To date, the museum has been able to release 60 tracks through their system and even has a partnership with iTunes to release some of these rare tracks to the general public. 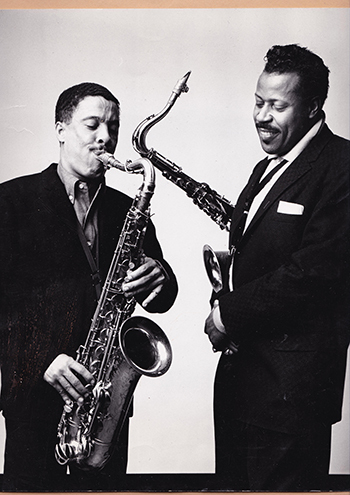 Another preeminent collection of the museum is that of Eddie “Lockjaw” Davis, a jazz tenor saxophonist who in addition to having a long solo career, accompanied greats such as Count Basie and Ella Fitzgerald. Davis traveled the world but his heart belonged to Harlem. In 2014, Davis’s family donated his collection of saxophones, cufflinks, trench coats, matchboxes, set lists, and eight scrapbooks to the museum. The kiosk and its online counterpart take audiences on an interactive journey through Davis’s life, from his early years to the first jam sessions and collaborations that would make him famous. Accompanied by upbeat recordings of Davis and his saxophone, the collection is structured and organized to create a seamless narrative of an inspiring jazz musician who solidified his position as a man of Harlem and a master of jazz. In one year, the museum constructed JAMS, which is able to house the museum’s expanding audio, video, and photograph collections, as well as aging artifacts. The physical kiosks that supplement the exhibit are also structured with a “no dead-end approach” in mind. The approach ensures that visitors never reach the end of the kiosk experience, always able to navigate to new content. Additionally, as the museum works to update their website, JAMS will be integrated with full functionality so that anyone can access the collection simply by logging onto the website. Incorporating JAMS will allow the museum to draw on the Savory and Eddie Davis collections for their website content. The museum staff also hope to digitize their ‘Harlem Speaks Oral History’ collection, which includes more than 200 oral history interviews, with the aim of including the collection in JAMS for wider dissemination.